Please follow these steps after you register your interface at https://customer.focusrite.com/user/register . 2. If you already have a Steinberg Account, enter your email and password here. Otherwise, click on “Create Account”. 3. Enter your email address, choose a Password and click on “Create MySteinberg Account”. 4. Check your mail for a verification email from Steinberg (NOTE: it may take a few minutes). Open the email, and follow the steps to verify your account. 5. 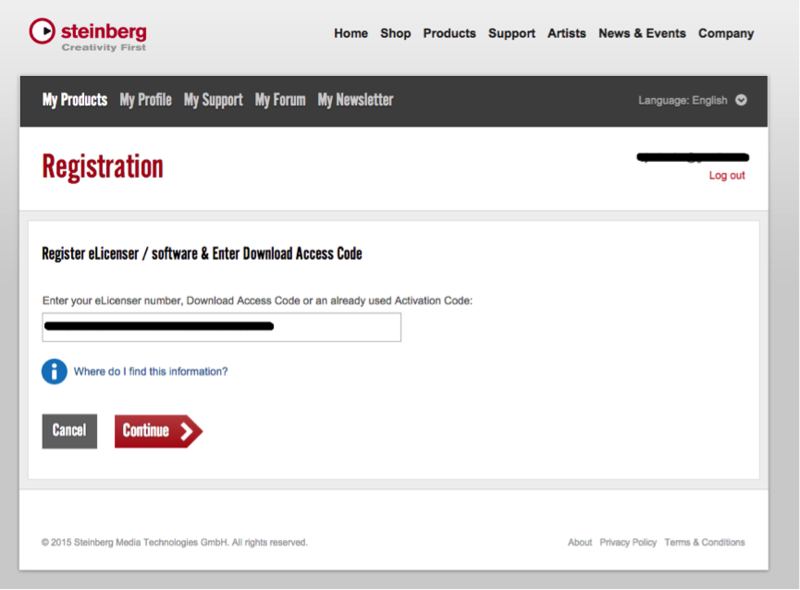 On your Steinberg Account Page, choose ‘Enter Download Access Code’. 6. 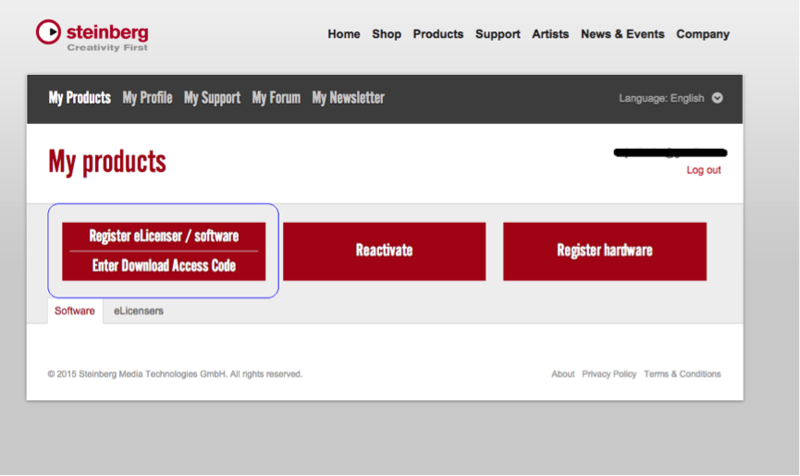 Enter your download access code from your Focusrite account [screenshot of this is in step 7 below]. 7. Your Cubase download access Code looks like this in your Focusrite Account Page under 'My Software'. 9. Once you have selected "I'm Done", the Steinberg website will give you a review of your details, these include your Focusrite download access code, your Cubase LE 7/8 activation code, and the download links once more.